Battlefield 4 wasn't the most popular game around last year. Not that there was anything wrong with the gameplay, graphics, or core design of the game. Those are all intact for fans and players to enjoy. The problem lies with server issues and other game killing bugs which have erased save games and locked some players out from playing at all. The plaguing issues pushed back all DLC and expansion packs developer DICE had planned as it was forced to bring the game into the relative stability it has today. EA acknowledged this disastrous launch and called it "unacceptable" in an interview with Eurogamer. 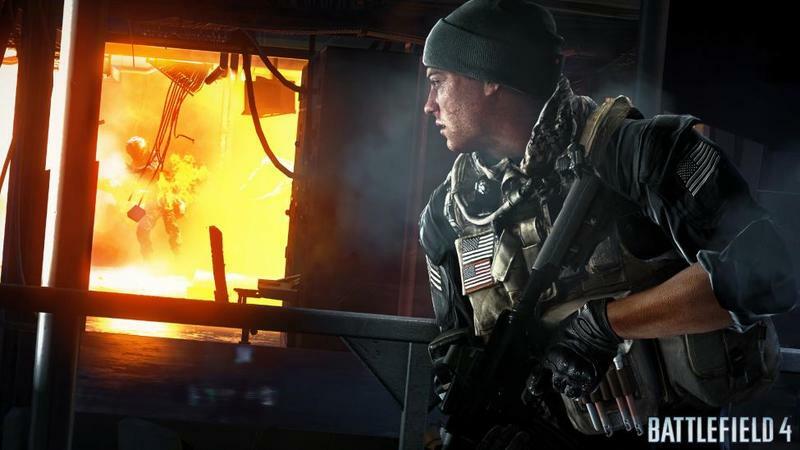 "For clarity it wasn't actually a server problem for Battlefield 4. It was a client side problem. Right now the game is playing extremely well, and people are in there and having a lot of fun. I'm still playing it. Think about what Battlefield 4 was: 64 player multiplayer, giant maps, 1080p, Levolution that was changing the gameplay design in an emergent way. There is a chance there are things you are going to miss through the development cycle. And you end up in a situation we had with Battlefield 4." In other words, Battlefield 4 was simply too large, advanced, and ground-breaking to guarantee the game be a working success when it launched. Sounds like a weak excuse for what seems more like rushing out a product to hit a certain launch date. If you are going to miss such game killing bugs in a developmental cycle, then perhaps you need a longer developmental cycle. Worry not, because Wilson finds this situation "unacceptable" and guarantees that EA won't make this mistake again. Wait, I'm sorry. He doesn't guarantee it. "For me, the situation we had was unacceptable. For the team it was unacceptable. We have worked tirelessly since then to make sure the gameplay experience got to where it absolutely should have been at launch and we're focused on that and we continue to deliver value to that player base. But when you do things like that you can never guarantee. It would be disingenuous for me to sit here and say, 'we will never have an issue again,' because that would mean we were never going to push the boundaries again. And I don't want to be that company. I want to be a company that pushes to lead and innovate and be creative. But you can start to do things that give you a better handle and a better view about what the potential challenges might be." "You can lengthen development cycles," Wilson says when talking about ways EA is looking into putting the "final" version of the game in the box. "You can give a much longer timeframe between final and launch to get a lot more testing on the game. You can change the development process whereby you have more stable build requirements throughout the entire set of development. You can start betas earlier so you get it out in the wild earlier with more people banging away at it. We have changed development processes, we've changed development timelines and we've changed testing processes and beta processes, all with a view to not have the issues again." Wilson also denied that the game was rushed to be available at the launch of the PlayStation 4 and Xbox One, but the new hardware did have a factor in the launch. "DICE had a lot of time this time. Hardline has had three years. Last year was a very unique situation. Not to abdicate responsibility whatsoever – we own it, we are responsible for it and we have worked tirelessly to remedy the situation – but when you are building a game on an unfinished platform with unfinished software, there are some things that can't get done until the very last minute because the platform wasn't ready to get done. What was happening with Battlefield 4, even as we were pushing all of this innovation, was a lot of it we couldn't test until really late in the phase. I believe it was unique." I realize that video gaming as a business has become incredibly cut-throat in recent years. If EA were to maybe sit back and comb through a game to look for potential game killing bugs, like all indie game developers and pretty much everyone else has to do before being published on PSN, Xbox Live, or the Nintendo eShop, then it might sacrifice that ever important market share to Call of Duty or whoever else emerges in its absence. But, there comes a point when EA has to realize that these disastrous online launches have to become stabilized if the future of the video game is going to be entirely digital, as it is pushing for. Did SimCity teach us nothing? Is Battlefield 4 going to do the same? The damage done to their brand names, not to mention DICE's reputation, because of these botched launches, can't be worth the time it would have taken to give them a thorough testing. Where is the balance between keeping those sales up while keeping a trustworthy image to the public? Making a game work as it was advertised eight months after release isn't going to cut it every year, EA. And seriously, not guaranteeing your products are going to work? Who says that?